Did Your Seasonal Employees Pass the ‘Naughty or Nice’ Background Check? Although Black Friday and Cyber Monday have already passed, there are still plenty of shopping days left. Well, actually only 15, but who’s counting??? And, while almost everyone is working to bring holiday cheer, there may be a select few who have less cheerful thoughts on their mind. Did you know seasonal employees can be helpful elves or evil villains? 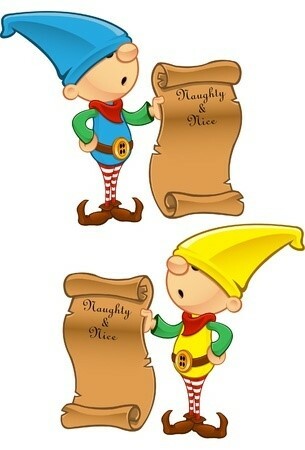 How do you know if they are Naughty of Nice? Truth be told, you don’t – unless proper Pre-Employment Screening is conducted including thorough Background Checks, Criminal Checks and Drug Screening. Regardless of whether you have already hired, or have yet to hire seasonal help, a thorough background check on these temporary workers can be beneficial to your company, potentially avoiding a lot of costly problems – including theft. It’s unfortunate to think that employees may not have your company’s best interest at heart and although it’s tempting to skip due diligence on temporary employees such as seasonal workers, this could turn out to be a costly mistake. Although many seasonal employees are working for honest, extra holiday cash and the benefit of a store discount, others may be looking for the dishonest, ‘five-finger’ discount. The Digital Journal reports that the 26th Annual Retail Theft Survey, which was released by Jack L. Hayes International, states there were 78,085 dishonest employees apprehended in 2013. This is an increase of 6.5 percent from 2012. Also according to the survey, one in every 39.5 employees was apprehended for theft from their employer in 2013. Staggering!!! Though The Digital Journal does not state if those employees were permanent hires or seasonal workers, this is a statistic all employers should be aware of. Offering holiday pay and benefits to temporary workers can draw in all types of applicants, and you want to make sure you hire the best ones to work during the holidays The bottom line is, if you want to protect your company’s bottom line, treat temporary/seasonal employee background checks like you would any other check. Keep all of your elves in line by doing Pre-Employment Screening including Background Checks, Criminal Checks, and Drug Screening. If you want a nice holiday, be sure to make a list, check it twice and, and only hire employees who are on the Pre-Employment Screening ‘nice’ list.